Adventure Awaits! Put this inspirational quote somewhere you'll see it daily, and remind yourself that your whole life is out there, waiting for you. Our wall decals are ideal for bedrooms, offices, living rooms, entryways, classrooms, even your car, bathtub or glass shower doors! 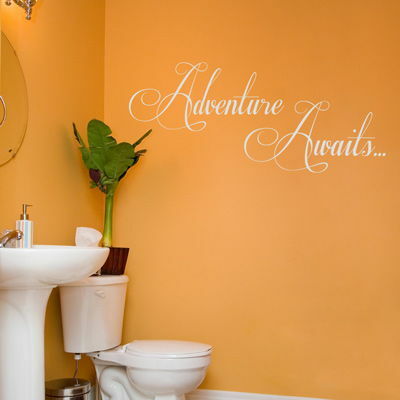 This Adventure Awaits quote decal is shown here in our Large size, and measures 48 inches wide by 18.5 inches high. Small size measures 22 inches wide by 8.5 inches high. 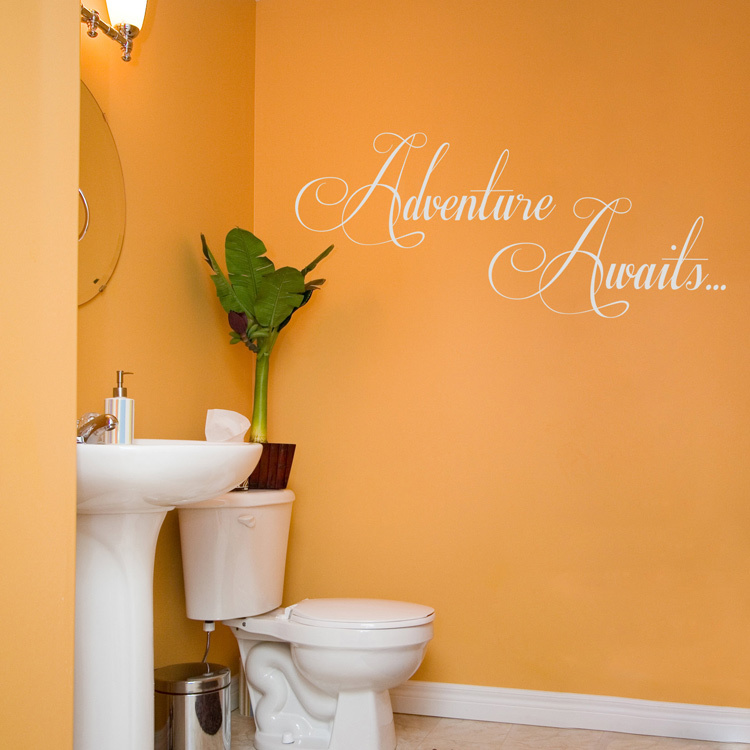 Our large size of our Adventure Awaits decal comes in two sections for easier application, and so you can create your own look! Small size comes in one piece, ready to apply. Most Awesome Decals!!! Superior Service!!! Clear and Extra Easy Directions!!! This Seller Is A Superb Asset To Etsy!!! Thank You So Very Much!!! I Will Be Coming Back To This Shop For All My Future Decal Needs!!! as always the best i could have expected and more. Dali Decals goes above and beyond for their customers. I just wanted to say thank you for such an amazing product. I recently ordered a decal and not only did I receive it quickly, but I was blown away by the quality and ease of placing it onto my surface. I was also amazed to see that I was given some duplicate decals along with the one I ordered. I thank you for the service and will be definitely using Dali Decals again in the future. We just applied the third of the decals we purchased. Wow what a difference it makes in the room! We love them and I am already looking at other walls where I can apply them. You are correct, it is addictive! These are a great way to add a designer flair to a room without putting a picture up. Depending upon the color you get, they are either a subtle enhancement or make a dramatic statement. I just love them!